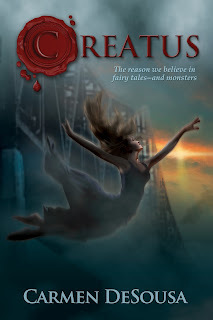 Creatus, the reason we believe in fairy tales—and monsters. In my new novel, for the first time ever, I deleted the prologue and the first chapter and jumped right into the story, but I do love prologues, as I know many of my readers do as well, so I couldn't part with it. Instead, I'm going to give you a first peek at my new novel, and a little insight to the above scene. I hope you enjoy. Kristina cowered against the damp building, looking to her mother for direction. Even at eight, she could see the wild gleam in the man’s eyes. Her mother took her eyes off him for a fraction of a second. “Run, Kris—” Her words cut off as the man slammed the knife into her mother’s chest and then reached for Kristina, but she ran as her mother had instructed. As she fled, she heard her mother’s cries. How could she have left her, especially when it was all her fault? She stopped in the middle of the street. She had to stop him. 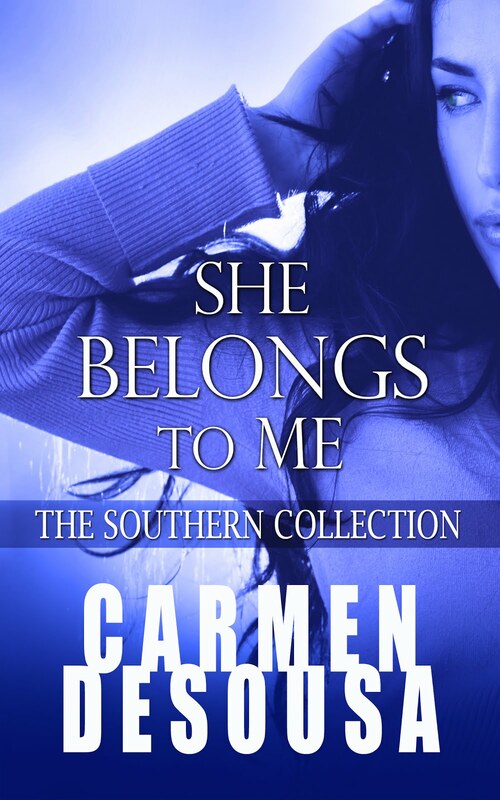 Her legs felt heavy and sluggish as she ran back down the alley toward the mugger, tears blurring her vision. A silhouette of a man landed in front of her with a soft thump. When he stood up, a sliver of light from the street revealed that he was dressed in black and much larger than the guy who’d attacked them. An anguished scream shredded the air as the new man tore the thug off her mother, slamming him into the concrete. He knelt down over her mother, checking where the man had forced the knife, but she didn’t move. The kind man lifted her to her feet and she stumbled forward. “Mommy!” Kristina screamed, seeing the blood drip from her mother’s mouth and seep through a rip in her dress. Her mother’s eyes and mouth opened, but nothing came out. “Go,” the man in black shouted. His voice was deep and strong, his eyes dark as he turned to the man on the ground and pulled him up by his hair. Kristina wrapped her arms around her mother’s waist, doing her best to hold her upright. As they staggered away, one lone wail filled the air and then silence. She hoped it was the bad guy, not the one in black. Normally his dark hair and mysteriously deep eyes would scare her, but she’d felt safe when he looked at her, as if he knew her. Her mother collapsed in her arms. The blood had soaked through her dress, turning it bright red. She blinked the tears out of her eyes, and he was gone. I was unsure if I was going to try your new series....however, after this taste of what is to come I know I am looking forward to Labor day. And not just because I don't have to work.This new series of yours is a genre I have never entered. So exciting to go somewhere new! It is not a common known genre, but some refer to it as Magical Realism. If you read my free short story, you might have gotten a taste, only it was paranormal more than supernatural. Not that many readers differentiate from the two any more. But I've always felt 'paranormal' was more with ghosts and 'supernatural' was more about things that can't be explained away easily. 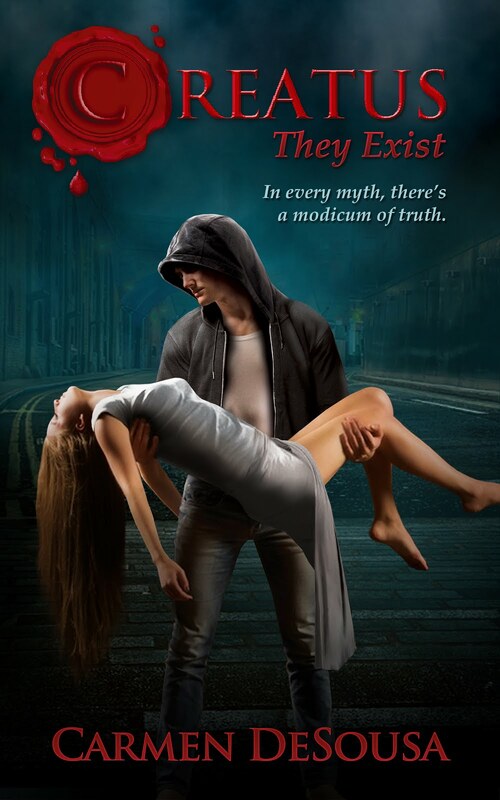 There are so may myths in our culture about supernatural sentient beings, and yet, the novels I've read about them are so far-fetched that, while they are fun for an escape, it's hard to get lost in them. With magical realism, I present the facts, and then offer up a possibility. I've had ten beta readers--from 16 to 60, male and female, those who like supernatural and those who don't. 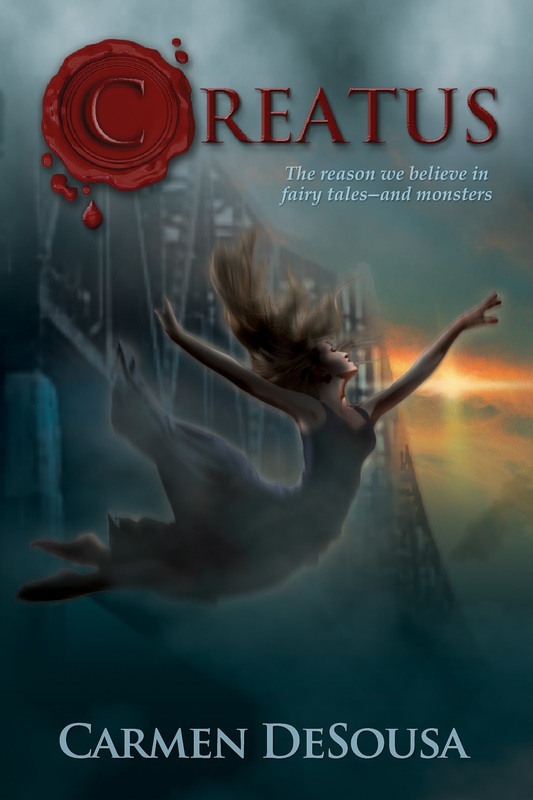 The overall consensus was, "Wow...I'm starting to wonder if creatus are real." LOL! So...I hope I can convince you too, my friend.